Using Amazon Coins, customers can buy apps, games, and in-app purchases on Fire tablets, Fire TV, and the Amazon Appstore for Android for less. The more Coins customers buy at a time, the greater the discount. Customers can also earn free Coins by purchasing select in-game items in select apps and games. Whether customers acquire Coins at a discount, or for free as rewards, you still earn your full royalty. 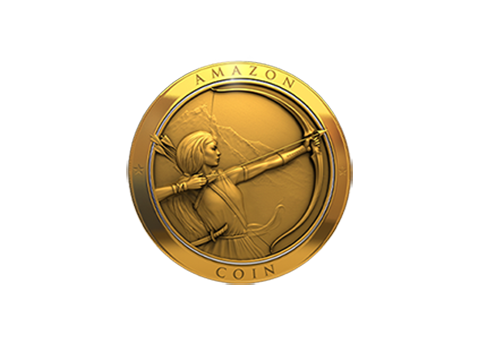 Only available on Amazon, Coins provides an incentive for customers to stretch their dollars and spend more in your apps and games. Most digital content on the Amazon Appstore is automatically set up to accept Coins for payment — all you need to do is publish your app to the Appstore. Customers save money on Coins, incentivizing them to spend more time engaging in your app and purchasing in-app items. There is no cost or additional work needed to accept Coins for payment. When customers use Coins to save, you still earn your full royalty.